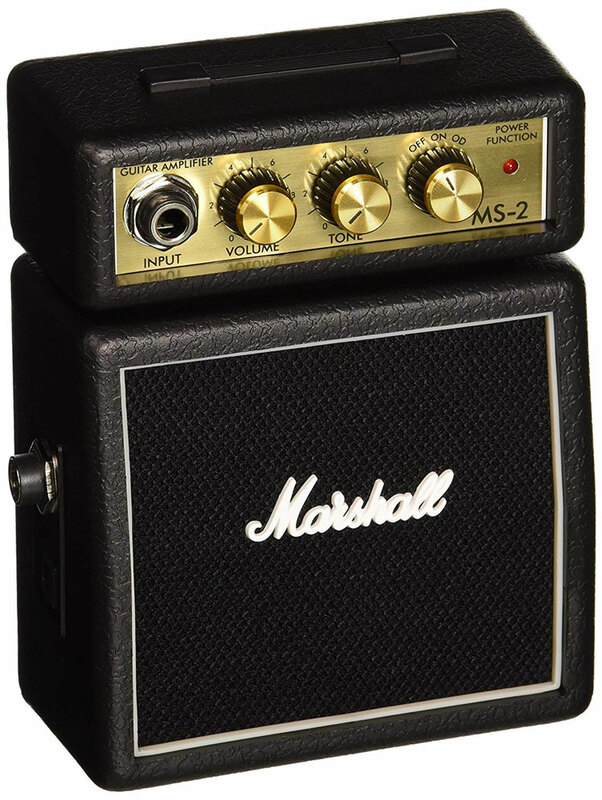 This isn't the first time one of my top gifts for musicians has had the word "Marshall" running across it. (Check out Marshall's Bluetooth speakers for both avid music players and listeners.) 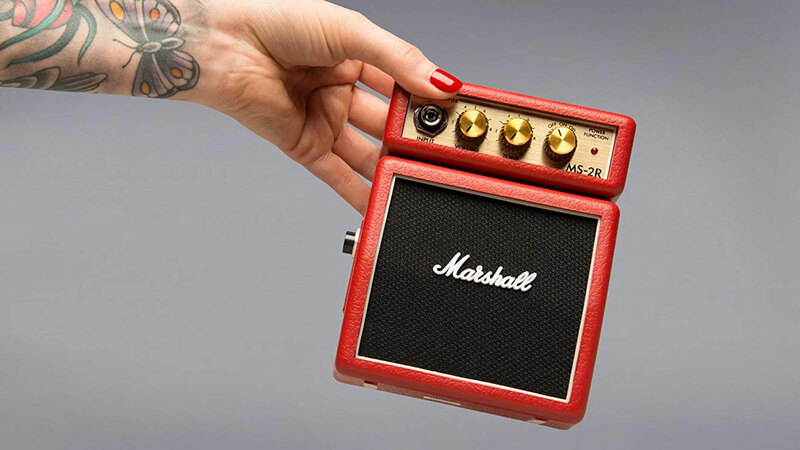 While the jam brand's MS2 Battery-Powered Micro Guitar Amplifier is just a little bigger than a juice box, Marshall says when you need an amp to practice on the go, this one still packs a punch. And I don't think they mean the fruit kind. 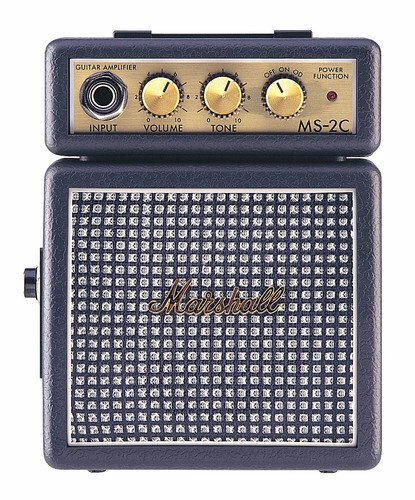 The MS2 amp has switchable Clean and Overdrive channels, outputting "one little Marshall watt." It also has a headphone jack so the neighbors won't call the police on you when you rock out with your watt out. Dimensions are 5.5" x 4.3" x 2.4", and it weighs 0.34 pounds. The amplifier runs on 9V batteries.